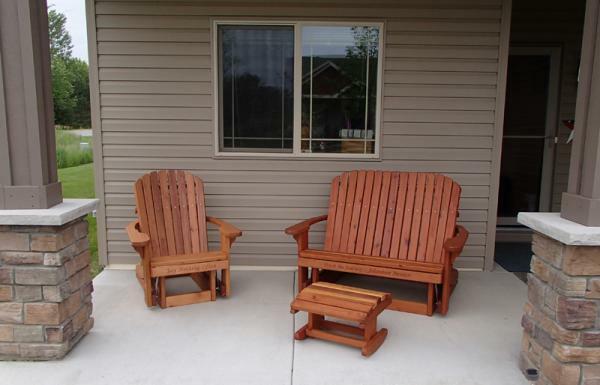 We built this redwood love seat glider for some newlyweds, at the request of the bride's sister. 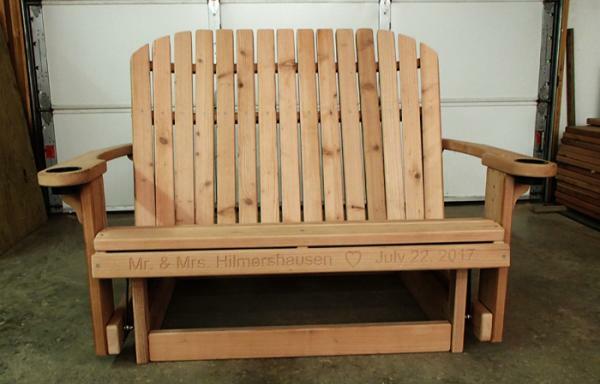 "The love seat you made for my sister's wedding turned out beautiful!" Michelle said. "They really loved it, and it was admired by the entire family at their reception. It's the perfect place to snuggle up and maybe rock future babies. Thanks so much!" ';) The chairs are gorgeous! ;) The chairs are gorgeous! Thanks for the wonderful craftsmanship. -- Sarah of Taylors Falls. 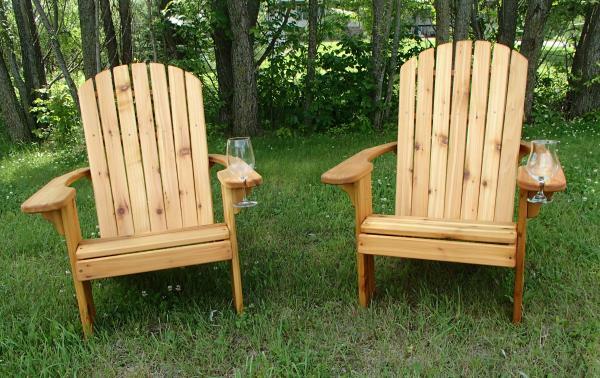 MN Sarah ordered two Standard Adirondack Chairs with wine glass holders. They sure look and feel just great. Amy loves the rockers.Thanks again. 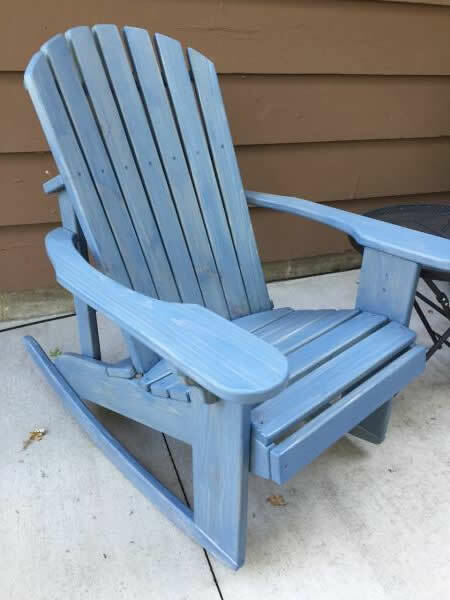 -- Mark of Minnetonka, who used two coats of Behr's semi-transparent wedgewood blue on his standard Adirondack rockers. "We're in heaven with our new gliders! We're absolutely loving them! Thanks! 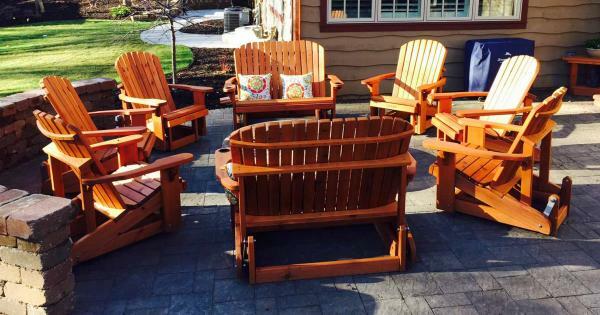 -- Jay Carroll, Eden Prairie, Minn.
We built the Carroll family two Adirondack Love Seat Gliders and six Big Boy Adirondack Chair Gliders with California redwood and stained them with Cabot's Australian Timber Oil-Natural. Each glider also was personalized with the name of a family member carved across the front seat slat.